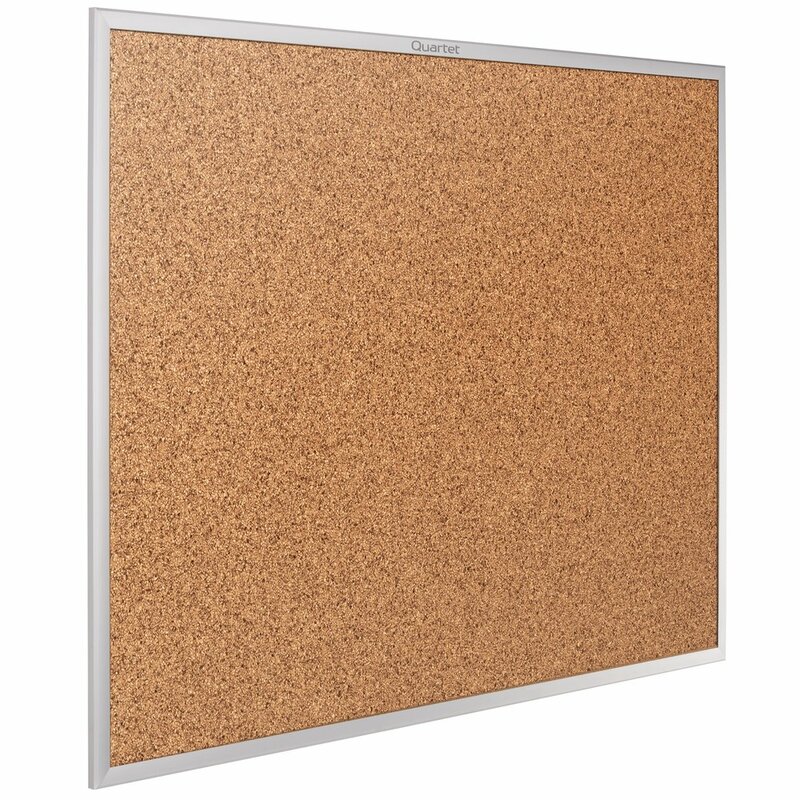 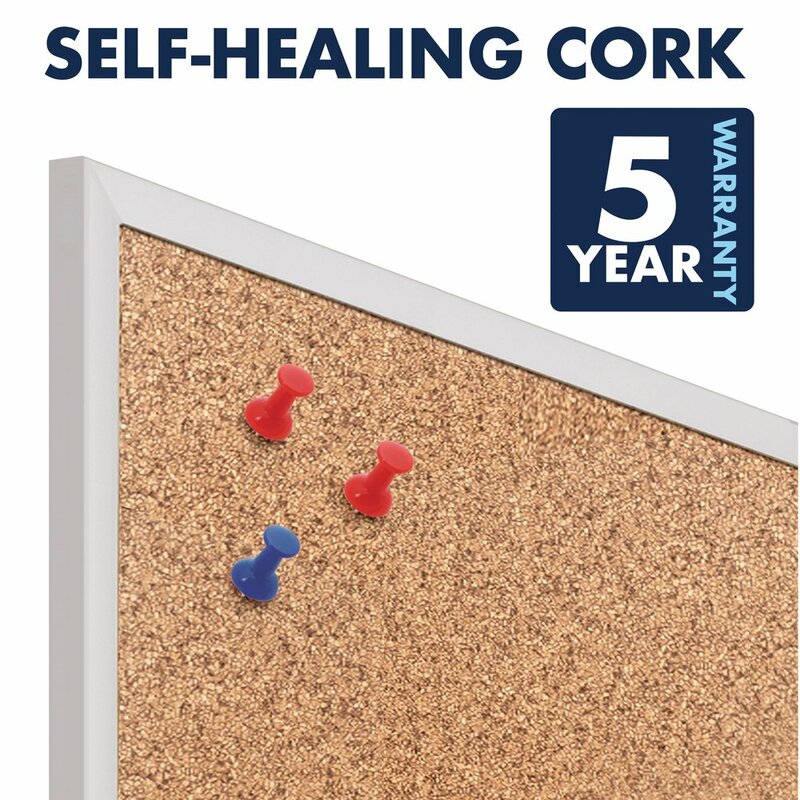 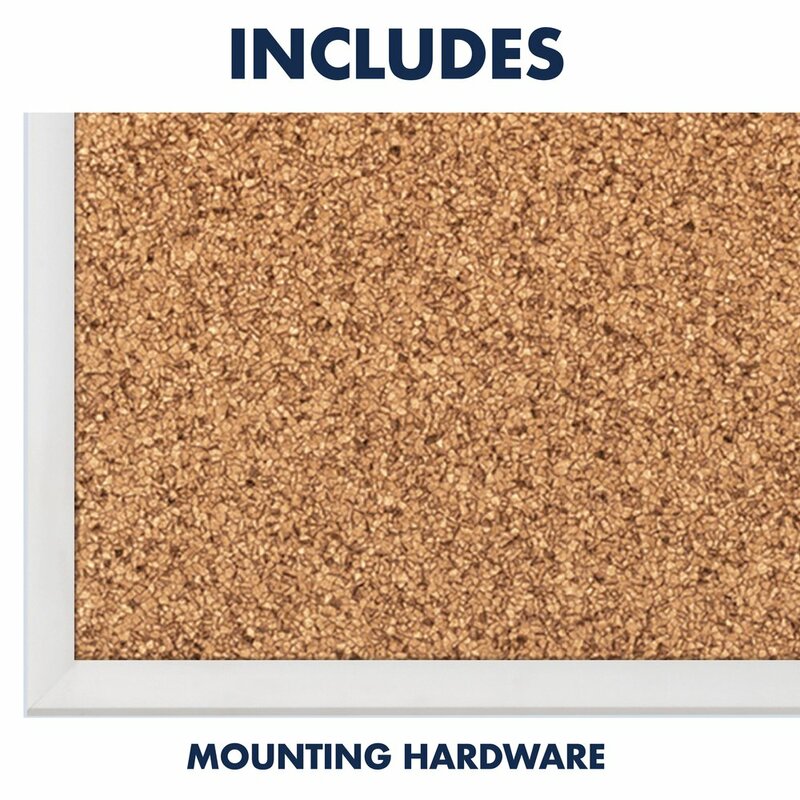 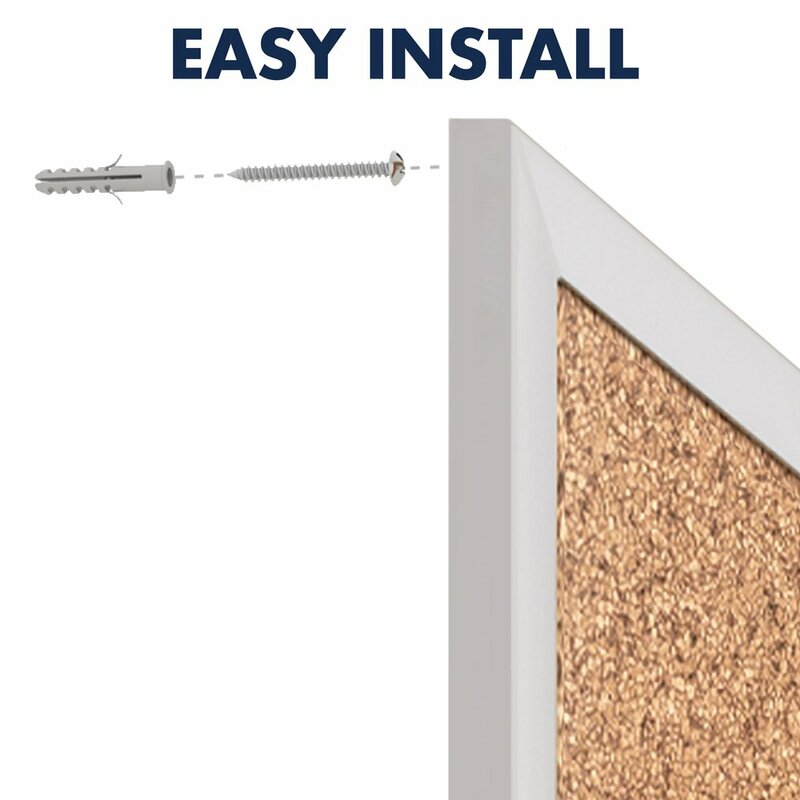 Heavy-gauge aluminum frames this cork bulletin board with a self-healing surface. 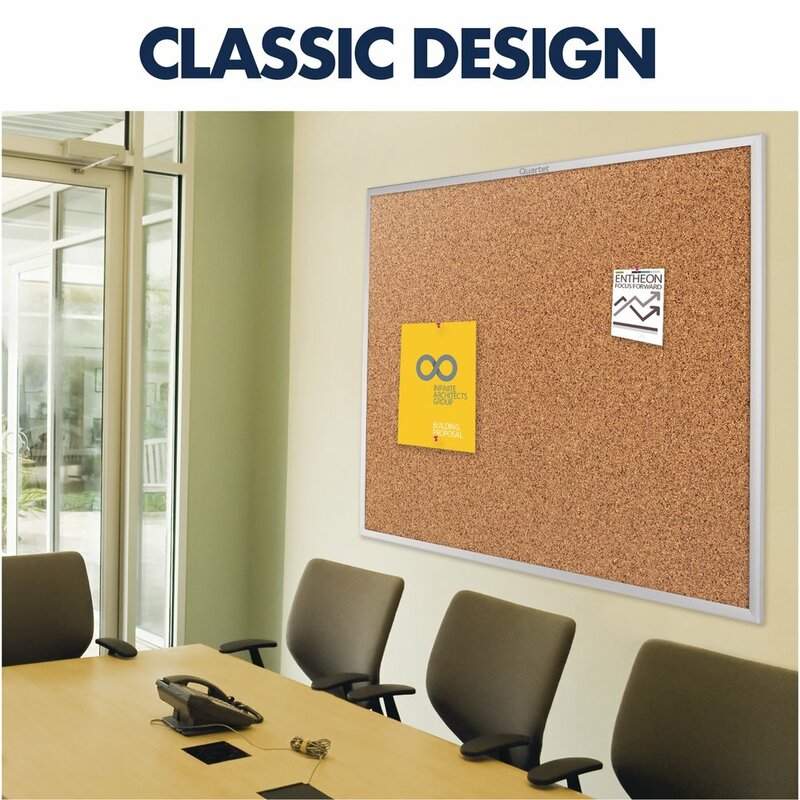 Use with push pins for all your document display needs for years to come. 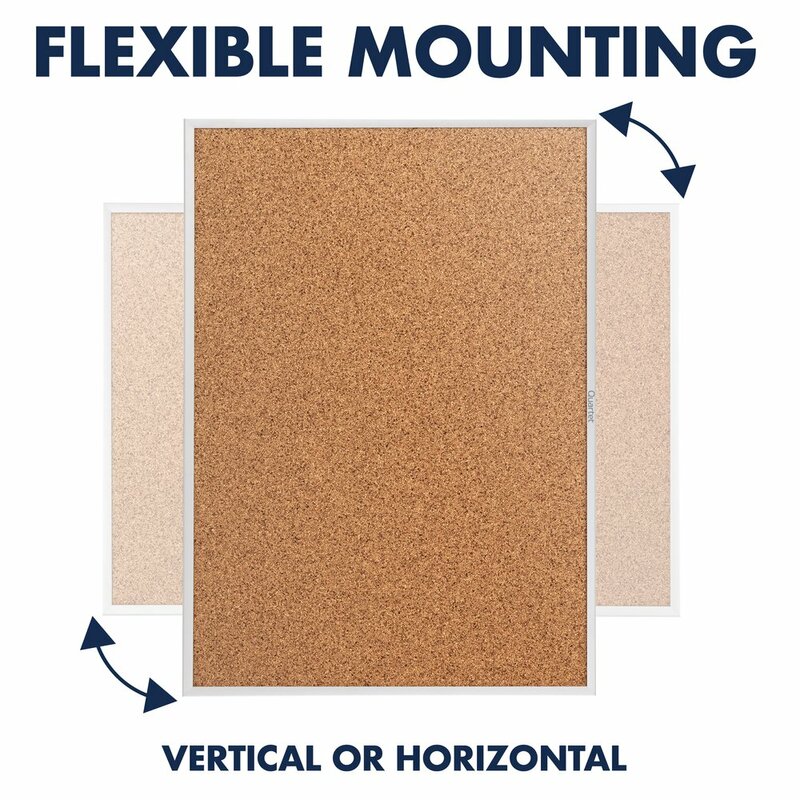 Conveniently mounts to the wall in either vertical or horizontal orientation.